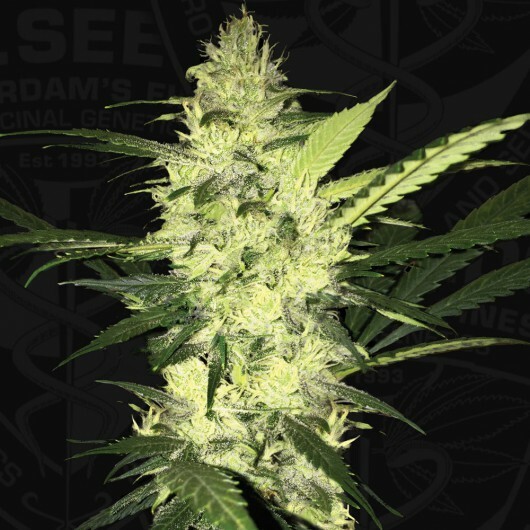 La S.A.G.E.™ is the ideal T.H.Seeds™ strain for all the Sativa lovers who also like to get good production. Was introduced in the Bio-Cup and won 1st place right away. La S.A.G.E.™ is an amazing selection from our regular S.A.G.E.™ strain and a Skunk Sam male from seed. The result is a true Hybrid 60% Sativa/ 40% Indica. It produces dense flowers and it's covered in resin at the end of flowering. La S.A.G.E.™ first entry into the Cannabis Scene came when it was introduced in the Bio-Cup which was judged by the likes of Shanti Baba and Howard Marks a.k.a. Mr Nice. La S.A.G.E.™ won 1st place right away. The following summer it was introduced at the Irún Cup in the Basque country and won 2nd place for Sativa. Then it tested the highest THC of all entries at the last High Times Cannabis Cup in Amsterdam. Three entries - three wins. La S.A.G.E.™ is the ideal T.H.Seeds™ strain for all the Sativa lovers who also like to get good production. Was first introduced in the Bio-Cup and won 1st place right away.